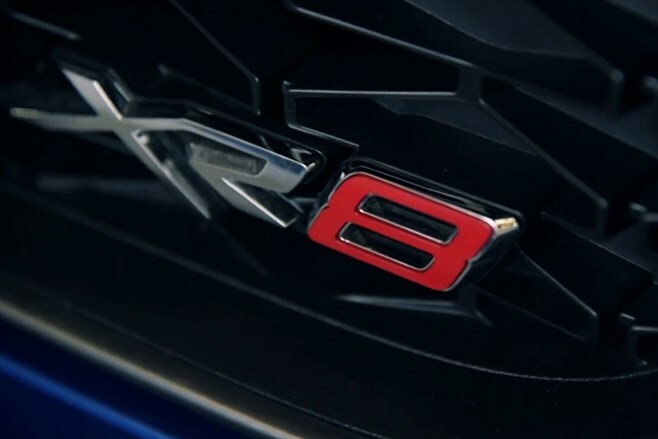 Ford has offered the best look yet at its forthcoming XR8 in a teaser video released on its YouTube channel today. While images teasing the new Falcon’s head and tail-light design have appeared in recent weeks, the video conveys plenty of information about how Ford’s last locally-built V8 muscle car will look. Cosmetic changes are largely confined to the front and rear, with the new Falcon’s nose featuring Ford’s corporate trapedzoidal grille and squarer, more angular headlights than the current FG units. At the rear, new tail-lights that carry over into the bootlid offer a more premium look, enhanced by a chrome strip that joins the two tail-lights. The stop lamp has been relocated from the rear window to the rear wing, with the spoiler itself aping the smaller, more subtle version used on the FPV GS, rather than that of the GT. A side profile shows a different bonnet scoop to the FG-series cars, the scoop stretching all the way back to the windscreen like a modern-day interpretation of the Holden Torana A9X’s ‘reverse scoop’. Wheels are 19 inches in diameter and the car appears to wear the premium brake package that appeared on the FPV GT P and GT F.
Little is currently known about the XR8’s mechanical specification, other than it will be powered by Ford’s locally-produced 5.0-litre supercharged V8. Power outputs could range from the 315kW/545Nm of the previous GS to the 351kW/570Nm of the GT F, though we’d speculate that Ford will be keen to throw everything it can at its last local hero car before the arrival of the Mustang in late-2015. The new XR8 is currently expected to be revealed in September ahead of a November launch.